57 Lukie Points will be rewarded to you when you buy this. 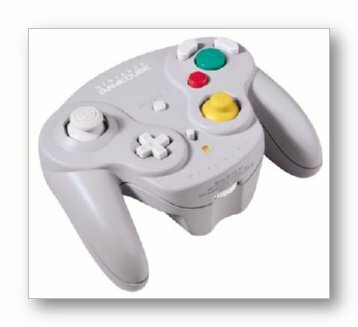 Wavebird Wireless Controller! 100% Compatible with the Nintendo Wii! 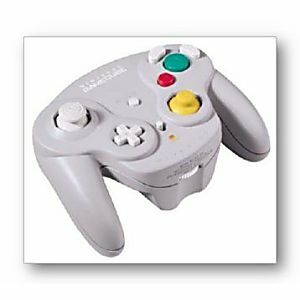 I spent many days and nights searching for an original Wavebrid controller at a decent price and at long last I found one! Arrived exactly as advertised with little or no visible signs of wear and tear. Works perfectly and I have had zero issues so far! Overall elated with this purchase and I would definitely buy again! ???? The controller looks great, feels great, and works great. It's not brand new, but despite my trepidation buying used, this is the next best thing. Arrived very quickly, works great. Thanks gain for great product. I was a bit surprised how clean and almost new these controllers were. Came with tge dongle and even batteries? I bought 2 controllers to go with my others. These are great they came fasf and i great shape. Came with both the receiver and the controller, both work great! I would say it was in very good condition for looks overall. The body had a slight ding in two spots on the ridge where the plastic connects and a bit of discoloration in those same spots, but barely noticeable. Buttons and joystick were excellent, not worn at all. I received it the first time and it had sticky gunk, but Lukie immediatly sent me an excellent working condition one. buttons stick a little.